Lately, Hot Mama and I have been on this kick of buying used. Partially because we there are some things that we just can’t afford new. So there have been sites that we have perused to find deals on things that we really want. 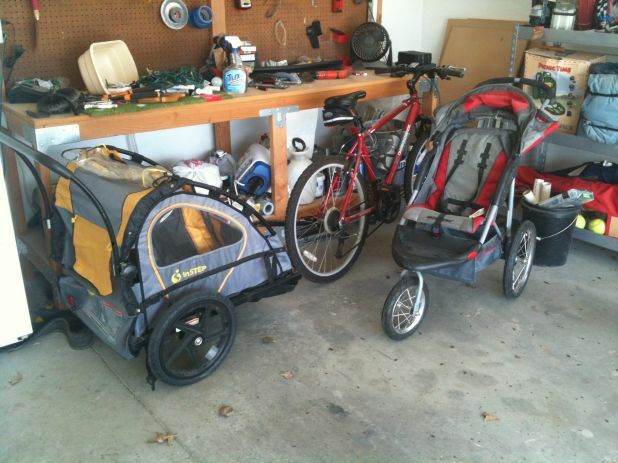 We have found sweet deals on a bike trailer for our bikes which we plan on using quite extensively this spring. Also finding a jogging stroller that I plan on using to take the Kid out to go on my morning runs. Buying both would have cost us easily upwards of $300. You want to know how much we got both for? $90! How do you ask? Well for the bike trailer Hot Mama has joined a Sell and Swap group in our local area on Facebook. Kind of like Craigslist but hyper-local. With the Jogging Stroller we found that on Craigslist. Buying used can be pretty scary. For one you are meeting people who you have no idea who they are. But then even if you have seen a picture you never really know the true condition of the item until you get it. With the jogging stroller, the previous owner said that it was in brand new condition having been used twice. When I got it home I discovered that two of the zippers were broken which I don’t know if that was caused by him or by me when I was moving it. Which for $40 bucks I am OK with that. Another option that Hot Mama and I have taken was looking at a baby consignment shop. While we have only bought one item this way, we plan on searching the store a lot more. The item that we got was a play table for the Kid which ended up being probably the biggest reason the Kid walked so early. The table was half of what it was in the store and worked just fine. I think that this stigma of buying used is you are not getting a good quality item, however, if you do your research you can come across some great deals. Honestly, we are still batting 1.000 with buying a lot of the big buy items used. You might have to wait a bit or take an item at a condition which you don’t like if you want it right away but if you keep digging and search you will be able to find what you want. We buy and sell everything used. We have family/friends swaps and trades too. Instead of friends putting things in the attic til next time, we use them (gently) until ours outgrow or they need it back. We could not afford anything with only 1 income. You can find some great deals on Craigslist! Keep an eye out. I got a bouncer/jumper off of craigs list for 30 bucks instead of 90 in store and it was the best purchase I ever made! My kids would bounce and jump and go crazy and then pass out! 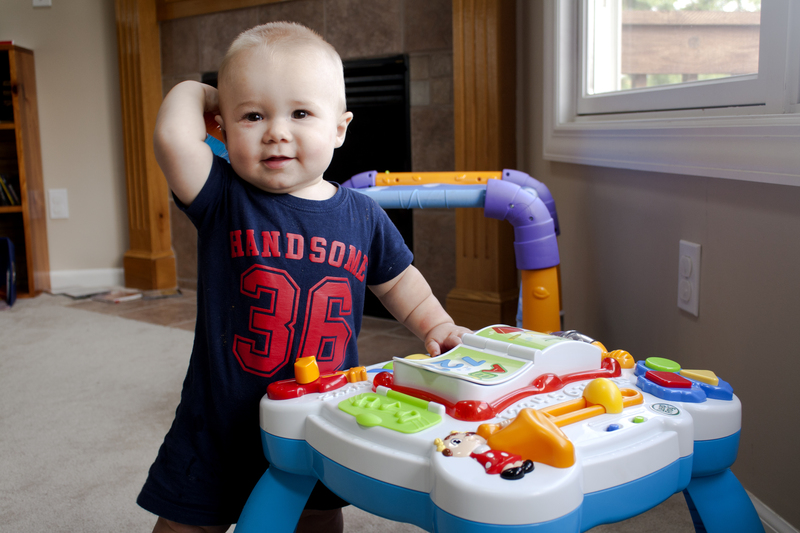 I bought an exersaucer at a garage sale for 17 dollars…they go for 80! You can get good deals if you look! I say buy used and take hot mama on a date with some of the savings! I forgot to mention our great exersaucer find on craigslist for $10! Even better than buying used is getting it for free! If you haven’t already, check to see if there’s a local Freecycle group in your area. We have given away everything from a pack and play to a highchair to clothes to a sofa! All in great condition and our thinking was that if it can be a blessing to someone else, it’s better than the hassle of trying to sell it online. We’ve also gotten (and given) age-appropriate toys for all three kids as they’ve grown. I highly recommend! I’m going to have to do some more digging into the freecycle deal. I did a google search in my area for one and found out that it shut it’s door in 2010. Sounds like an awesome idea.